Your gift to the University of New Orleans may be doubled, or even tripled, through your employer's matching gift program. Many companies encourage their employees to make charitable contributions by matching their philanthropic support. The Office of University Advancement supports the University's primary mission of creating knowledge through research and dissemination of that knowledge through effective teaching, by engaging our alumni, friends, parents, and the community, telling the UNO story, and being faithful stewards in what is entrusted to our custody. 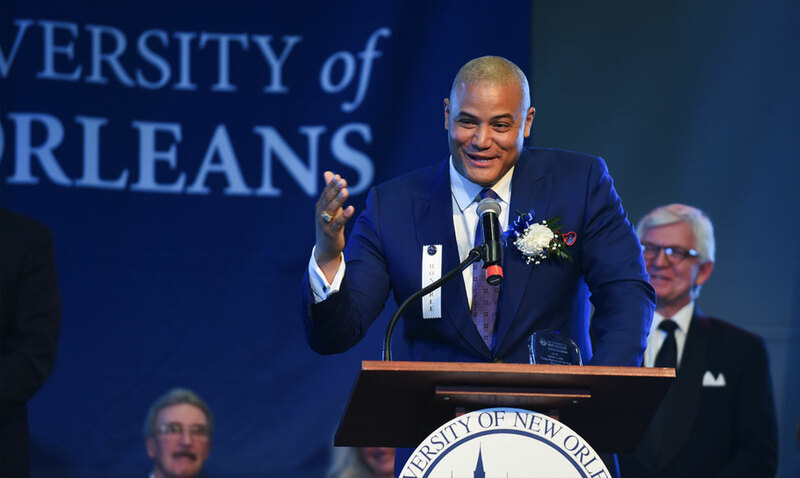 In support of these efforts, University Advancement works to increase the resources available to the University of New Orleans by generating private philanthropy and volunteer support. The mission of University Advancement is to help provide the critical resources for the University to achieve its mission of providing educational excellence to a diverse undergraduate and graduate student body. Under the leadership of Executive Director Tony Gregorio, University Advancement oversees the Office of Development, UNO International Alumni Association, and the UNO Foundation. Privateer Athletics is governed by the Privateer Athletic Foundation. University of New Orleans deeply appreciates each and every gift from our alumni, students, parents and extended community. You have helped us increase our scholarship opportunities to students, provided funds to support scholarly endeavors for faculty, augment academic programs, enhance current facilities and build new buildings. The University values your contributions to our community so we operate in accordance to the Donor Bill of Rights.